A sample for systematic collectors. It is a rare bismuth vanadate occurring as a hydrothermal alteration of other bismuth minerals. Small orthorhombic Pucherite crystals but with very brilliant faces and sharp edges, others rounded. 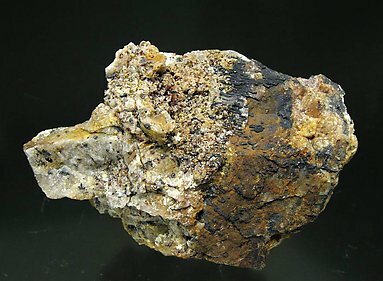 This specimen is from the Schneeberg area, probably from the Wolfgang Maassen Mine, the Type Locality for this species.